Launch windows: The Nintendo 3DS version of Super Smash Bros. is planned to launch this summer. The Wii U version of Super Smash Bros. is planned to launch in winter 2014. “Smash Run”: Exclusive to the Nintendo 3DS version of the game is a new mode called “Smash Run.” In this mode, four players have five minutes to enter a dungeon and explore the surroundings, fight enemies and obtain power-ups to enhance their fighters. Once the five minutes are up, all four fighters enter a battle arena using their newly equipped items and power-ups. Enemies encountered in the Smash Run mode are from a wide range of game series. Multiple Nintendo 3DS systems and games are required for multiplayer modes. New challenger! 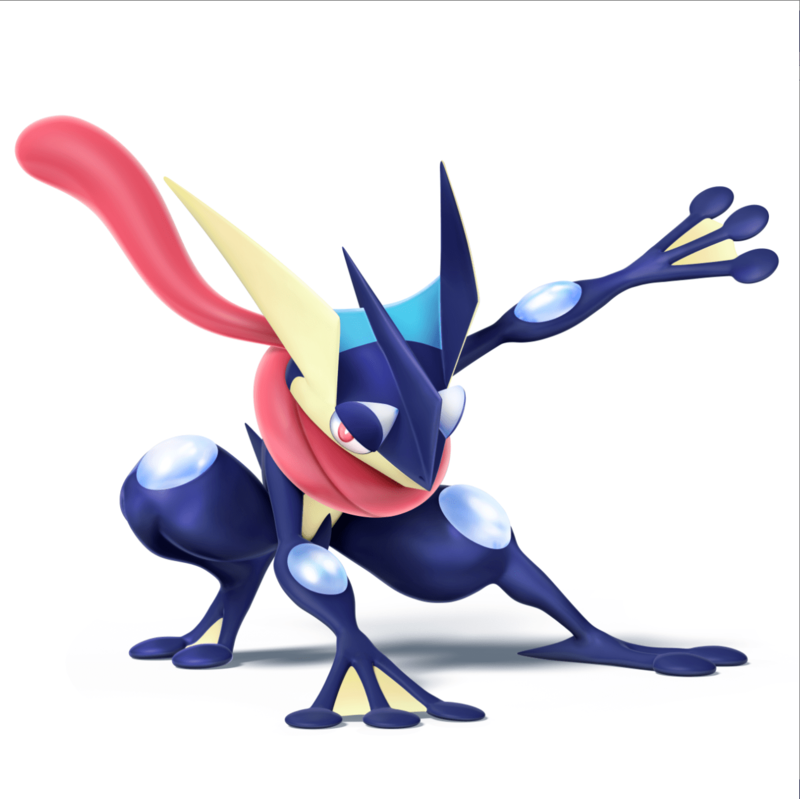 : Greninja, the awesome final evolution of Froakie from Pokémon X and Pokémon Y, joins the roster as a playable character in Super Smash Bros. for both Wii U and Nintendo 3DS. 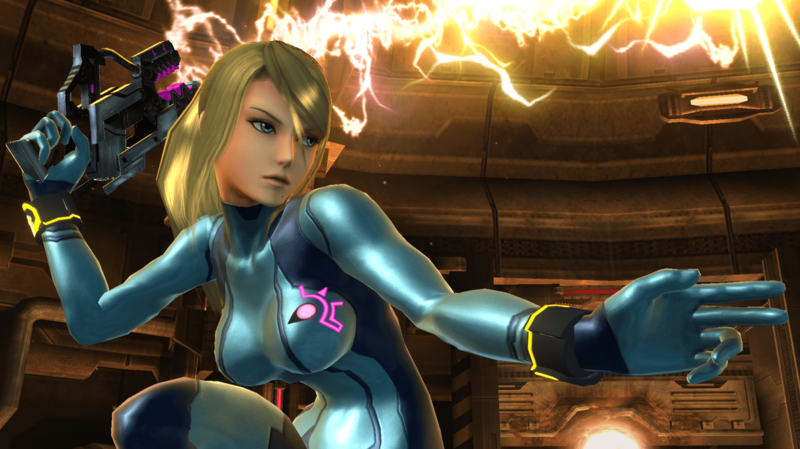 Zero Suit Samus: That’s right, Zero Suit Samus is back, but this time she is her own fully playable character, separate from suited Samus. In the new game, she is given jet boots to make her even more powerful. 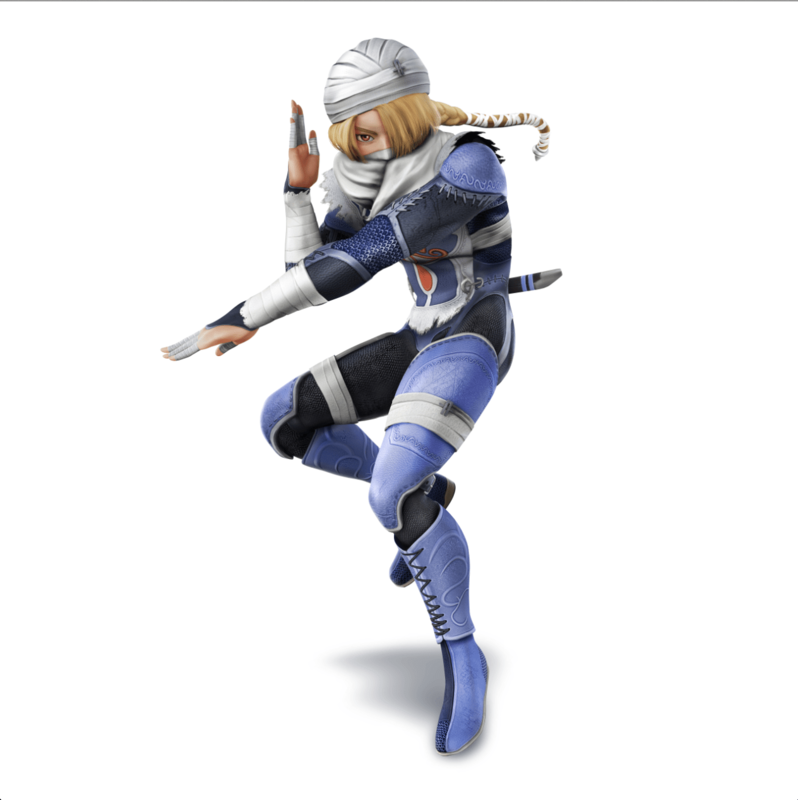 Sheik: As with Zero Suit Samus, Sheik is another character that appeared in previous Super Smash Bros. games, but will be a unique playable character for the first time in the new Wii U and Nintendo 3DS games. Sheik has new moves like Burst Grenade and Bouncing Fish. Yoshi: In previous games, Yoshi stood on two legs and hunched over, as if Mario were going to jump on top of him at any moment. This new version of Yoshi stands completely upright, making him an even stronger fighter. 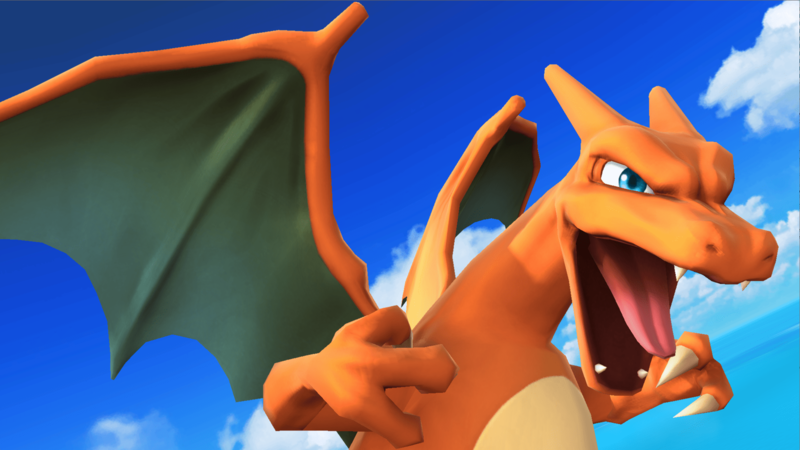 Charizard: After appearing from a Poké Ball in Super Smash Bros. Melee and becoming playable by using Pokémon Trainer in Super Smash Bros. Brawl, this fire-breathing Pokémon is now a selectable character. When playing with random players online, two modes are available: “For Fun” and “For Glory.” In “For Glory,” only Final Destination stage variations are available. There are no platforms, elevated areas or items in this mode. It is a nice, clean battle between characters. 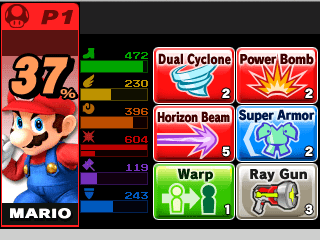 In “For Fun,” all stages are picked randomly and all items and power-ups are available. When playing with friends, full customisation is available – players can set the rules, stages and items however they want. Variety of stages: While the cast of playable characters is the same in both versions of the new games, the stages where the battles take place are vastly different, depending on which system a player chooses. The Wii U stages are primarily based on past home console games, while the Nintendo 3DS stages draw from hand-held games for inspiration. Boss characters, such as the Yellow Devil in Dr. Wily’s Base, will make appearances in some stages. When bosses appear, fighters will have to battle the boss, as well as one another. The boss can even be used in strategic ways to damage other fighters. Items, trophies and Pokémon: Items, assist trophies and Poké Balls all return in Super Smash Bros. for Wii U and Nintendo 3DS. New to the games are Master Balls, special Poké Balls that contain Legendary Pokémon like Arceus and Xerneas. Get connected: There will be elements in Super Smash Bros. that link both versions of the games. More details about this will be revealed at a later date. Custom moves: In a series first, players can now customise move sets when playing locally or online with friends. More information about this feature will be announced in the future. 2 Comments To "Today’s Nintendo Direct Video Details For Wii U And Nintendo 3DS Games"